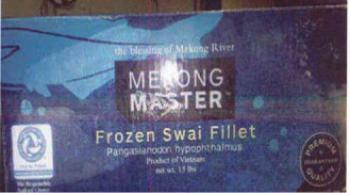 Vinh Hoan USA of Tustin, Calif., is recalling approximately 84,000 pounds of imported frozen Swai fillets. The products imported into the U.S. from Vietnam without meeting federal requirements. The recalled products do not bear the USDA mark of inspection. They were shipped to wholesale locations in Illinois, Indiana, Kansas, Minnesota, Missouri and Wisconsin. Consumers with questions about the recall may contact Max Basch at (714) 573-3458.